A common misconception is that vegans do not eat enough protein. The truth is spinach, per calorie, has more protein than red meat. Shocking? Can you become muscular, healthy, and fit by following a vegan lifestyle? YES! Plant based proteins are packed full of essential vitamins, minerals, and so much protein. Spinach has 7 grams of protein per cup, and peas offer 9 grams of protein per cup. Your daily greens are packed with way more protein than you would initially think, right? Protein helps to keep your body full, create muscle, and helps to repair and rebuild our muscles after a workout. It is essential to everyone’s diet...vegan, vegetarian, gluten free, dairy free, or meat eater...everyone needs protein. Of all the grains available, quinoa is my favorite! Quinoa is not only gluten free and vegan, but it provides 8 grams of protein per cup. This is an excellent option instead of other traditional carbohydrate options like pasta and rice. 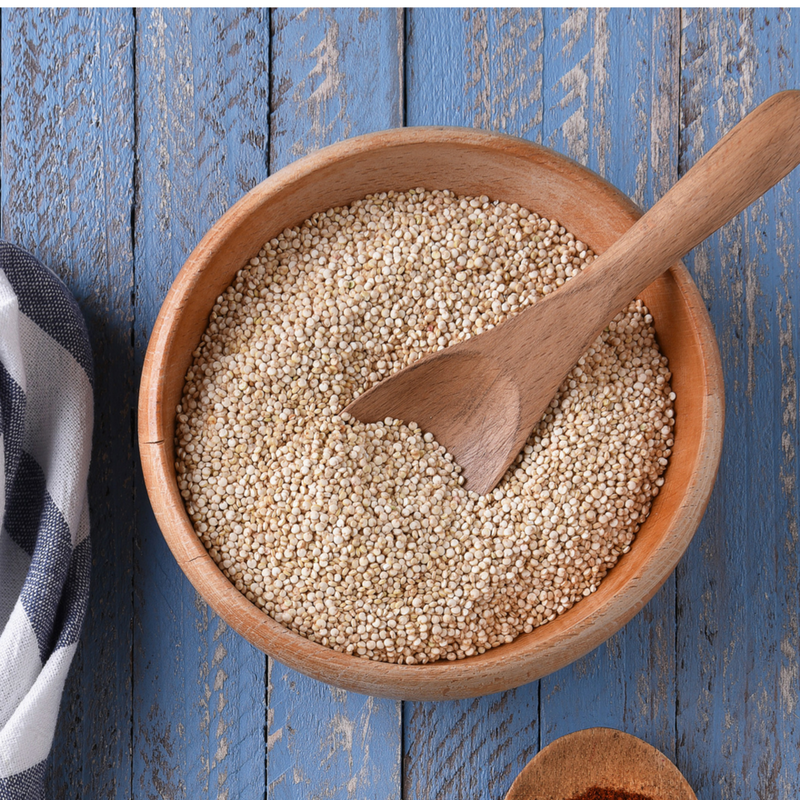 Quinoa is a complex carbohydrate and will help to prevent spikes in blood sugar, keeping your energy steady after each meal. Quinoa can be substituted in the mornings for oatmeal, added to a salad at lunch, or mixed with pesto and vegetables at dinner. For those readers who are able to tolerate gluten, farro can be a great addition to your diet. Farro naturally contains 8 grams of protein per 1 cup of cooked farro, and is higher in carbohydrates and calcium than it’s quinoa counterpart, making it an excellent choice for athletes. For those on a budget and looking for an inexpensive vegan option, tofu is a great choice, averaging only 50 cents per serving! One serving of tofu (approximately 4 ounces) has 9 grams of protein. Tofu can be added to your salads, smoothies, or bowl recipes. Beans and legumes are excellent sources of protein and complex carbohydrates, making them a great pre- or post- workout fuel. Beans average approximately 14 grams of protein per cup, the highest on this list! Beans and legumes make a great addition to any meal. Chia seeds and flax seeds are another great vegan protein option, packed full of protein, omega 3’s, fiber, and healthy fats. These two superfoods are great additions to your smoothies, oatmeals, salads, and bowls. These seeds are versatile and easy to pack, making them a great on the go protein option.